We are happy to help you find a room on the private housing market. Our private room agency service is free of charge for both landlords and students. 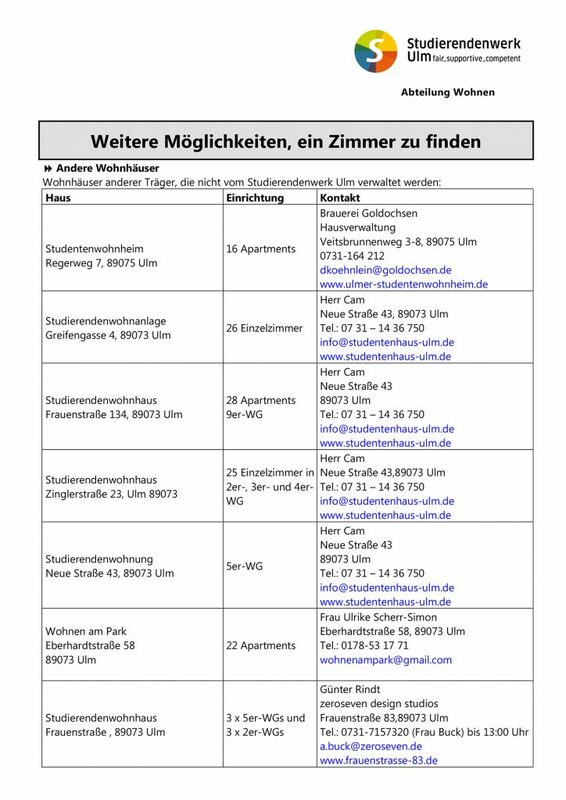 Looking for a room in Aalen or Heidenheim? 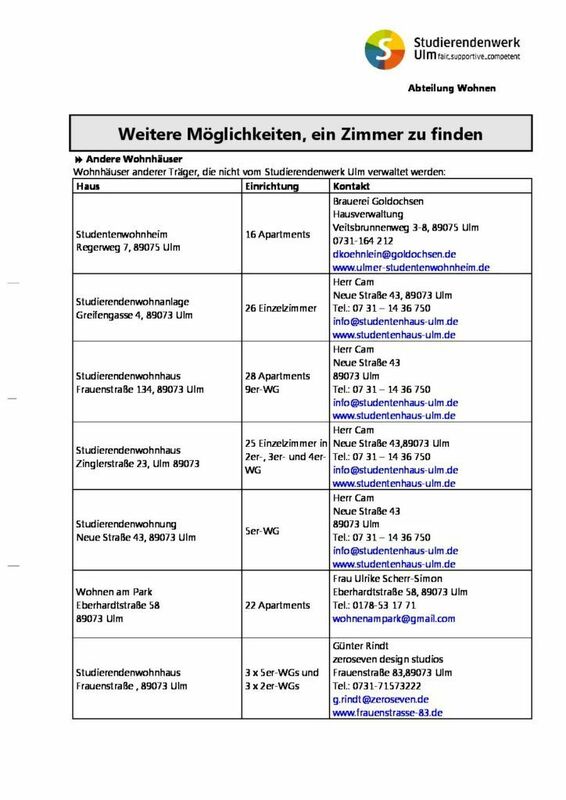 Here you can find information on other providers of residential houses in Aalen and Heidenheim. 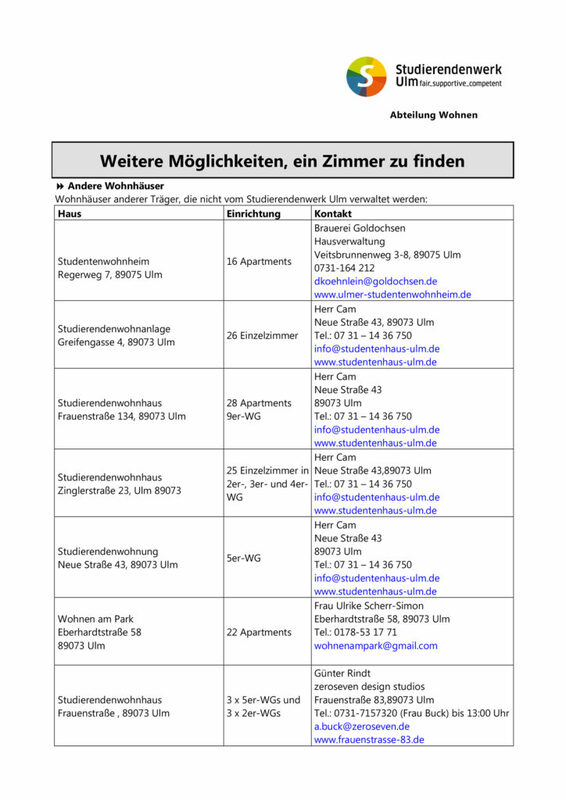 Here you can find information on other providers of residential houses in Ulm und Neu-Ulm. Do You Have a Room to let? You can advertise your room offer free of charge via e-mail or by phone. We publish your room offer in the Private Room Index on our website free of charge. On the Campus you find us here! In the building you find us here!